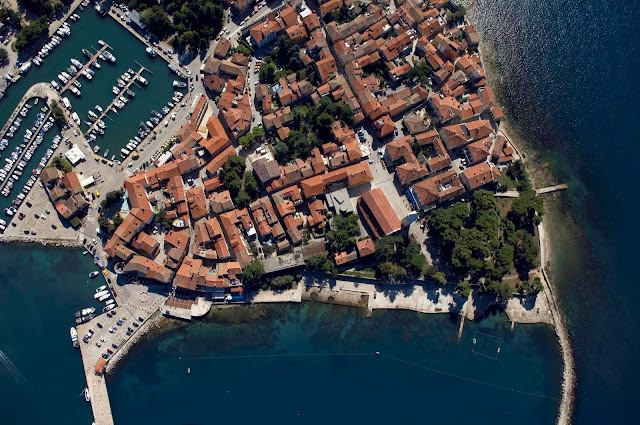 The sheltered harbor of Novigrad, on the west coast of the Istrian Peninsula, was likely established as a military outpost in the late Antiquity transition period during the rise of the Roman Emperor Diocletian. The harbor, or Mandrac, continued to attract settlers, especially fishermen, throughout the ages. In Novigrad, visitors will discover Roman remnants from the 4th to the 7th centuries, Slavic cemeteries from the 7th century, a ciborium altar canopy used by Bishop Mauritius during the reign of Charlemagne, a classic Baroque church in St. Pelagius, and impressive stone walls, town loggia, and fortifications from the Venetian era around the mid 1200s. Visitors will also enjoy a lively, contemporary, city with culinary emphasis and artistic expression known throughout Europe. All will find a stroll through the shops and homes on the charming, narrow streets an unforgettable experience leading to the heart of the city where engaging waterfront events take place. Often referred to as Cittanova d'Istria in Italian, Novigrad Istarski in Croatian, and originally Emonia via Greco-Roman influence, a visit to this inspired fishing village holds wonderful cultural, culinary, and historic treasure. Novigrad is a town in Istria County of Croatia and has a population of over 5,000.